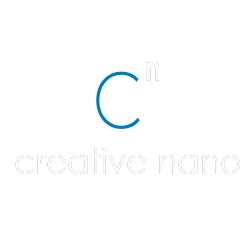 Our vision at Cnano is to become one of the most recognised research companies, providing integrated technical solutions based on nanotechnology, serving as catalyst from the laboratory to the industry. Our team’s goal is to deliver nano-powered innovations having multiple applications in various industries, such as automotive, constructions, aerospace, healthcare, food etc. Credibility: Within our network we have built trust for the timely and successful implementation of projects and services. Knowledge: Our experienced team is our strongest asset which strives to transfer knowledge within our network from the laboratory scale to the industrial application. Professionalism: We strive to exceed the needs of our customers and support them in achieving their goals by providing specialised and efficient solutions. Teamwork: Through teamwork and collaboration both among our partners and with other companies in the field of nanotechnology we are always providing effective solutions for the benefit of our customers. Innovation: Our team strives to provide all the means for meeting new requirements in research and industrial applications for providing effective technologies, processes, services and products.